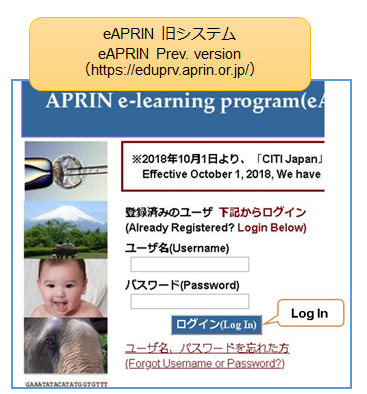 If you find a notice “Please log in to APRIN e-learning program (eAPRIN)” on the main menu when you log in here, your institution had completed the data migration to APRIN e-learning program. Please click here and log-in with your username and password. 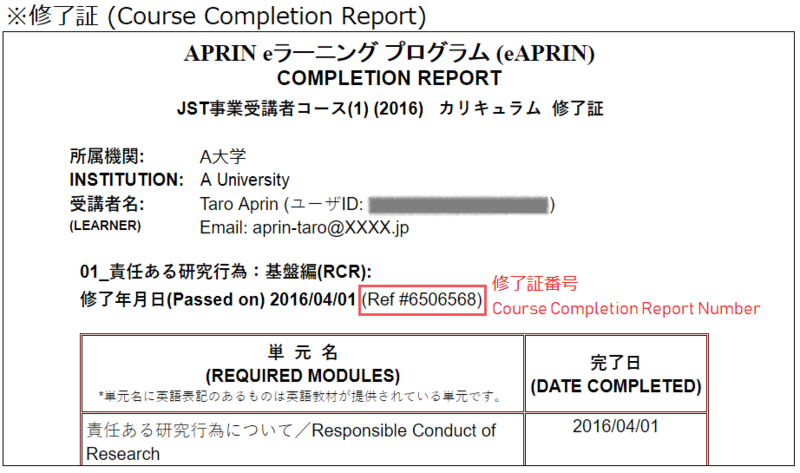 You can re-issue your course completion report which had been issued in the past on eAPRIN Prev. 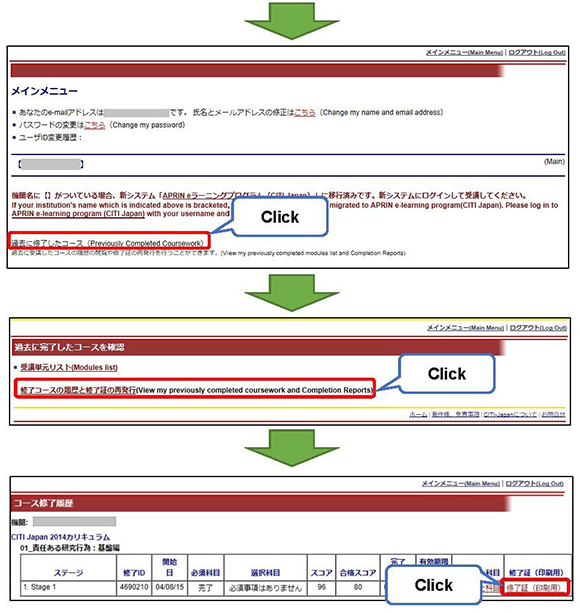 version by logging in from here.